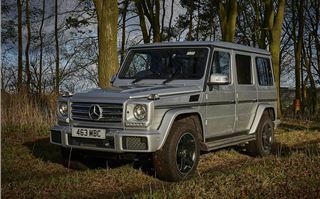 In a world where even sports car manufacturers are dabbling in SUVs there is genuine off-road credibility to be found in the Mercedes-Benz G-Class. Even the blurb supplied with the car states it has barely changed in the 38 years it has been on sale. Its elderly roots are both a help and a hindrance but its enduring popularity explains why it has received yet another mild update for the 2018 model year. 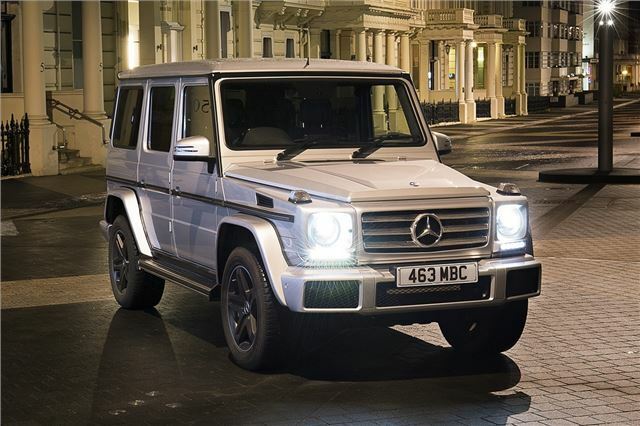 Available in three specifications including an AMG version and a G500 with a new twin-turbocharged V8 engine, the G350d tested here is fitted with the familiar 3.0-litre V6 diesel. Revisions have boosted the power and torque outputs to 245PS and 600Nm of torque respectively, while the official fuel consumption has been improved from 25.2mpg to 28.5mpg. All versions are now compliant with the latest Euro6 emissions standards too. Standard equipment includes four-wheel-drive, a seven-speed automatic gearbox and serious off-road features like three locking differentials and a low range mode. 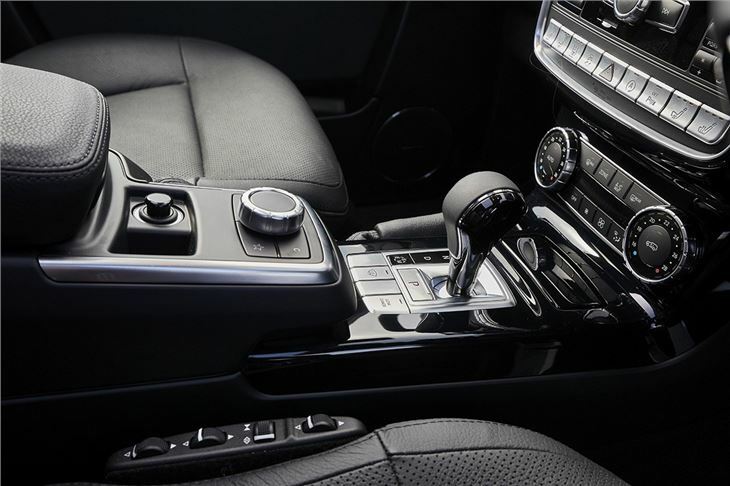 Even so it remains a luxury vehicle, at least in respect of the equipment and the materials used in the cabin, with electric front seats, high quality leather throughout and a Harmon Kardon audio system as standard. 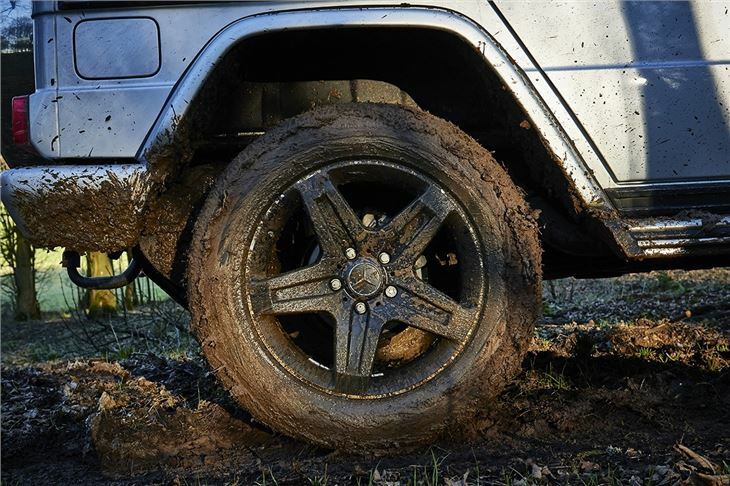 Beneath the skin the G-Class is one of the few vehicles currently on sale to retain a ladder frame chassis, which gives superb axle articulation to help its off-road ability. The typical downside of this arrangement is that ride quality and refinement are poor, but in order to combat this the dampers have been retuned to improve body control and comfort. Reprogrammed traction control and ABS system are also claimed to deliver improved grip and reduced braking distances. These improvements are marginal however. 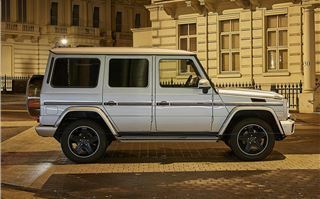 In normal driving the G-Class is ultimately hampered by the age of its underpinnings and is less comfortable to ride in than its GLC or GLE siblings. The steering is slow-witted compared to modern SUVs too, using the relatively old-fashioned recirculating ball system, and lower-speed manoeuvres can demand a great deal of arm twirling to complete. 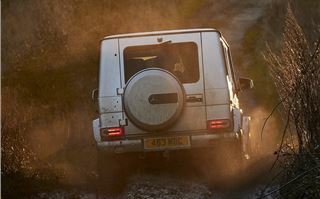 Even so, these shortcomings are relatively easy to forgive thanks to the G-Class’s obvious charm. Still a common sight on the roads of the capital due to its presence and unmistakable looks despite being far from its comfort zone in urban traffic, the G-Class mixes the agricultural with luxury to great effect. The easy torque of the 3.0-litre diesel unit makes short work of sprints from the traffic lights while the near-flat glazing all round and squared-off body panels make it easy to place on the road. At higher speeds those same panels deliver plenty of wind noise and a firm hand on the wheel is required to keep it in your chosen lane, but the seats are comfortable and the superb view out lets you peer ahead of the car in front. 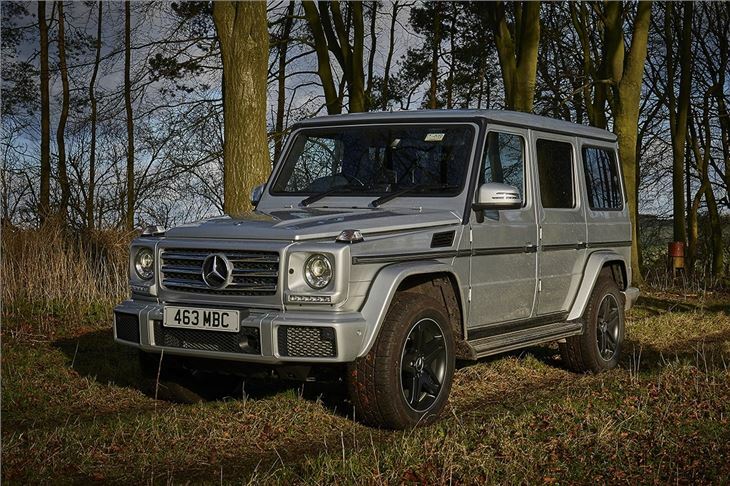 Given its size the space on offer inside the G-Class might come as a disappointment. Headroom front and rear is reasonable but legroom in the back is relatively poor, while elbow room is at a premium on account of its modest width; it’s not uncommon for the driver to catch their elbow on the window sill while turning the steering wheel. The boot space is excellent however, with a large and square area capable of swallowing large loads. 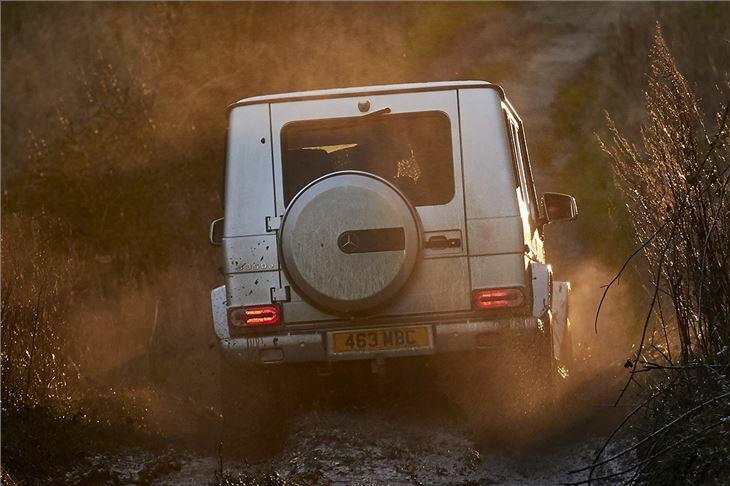 Assuming the available room isn’t an issue, the G-Class’s cabin is a pleasure to spend time in. The standard equipment level is high, the leather and trim finishes are of a high standard and although the infotainment system is last generation Mercedes-Benz the standard premium audio system is impressive and strong enough to overcome the wind and road noise. 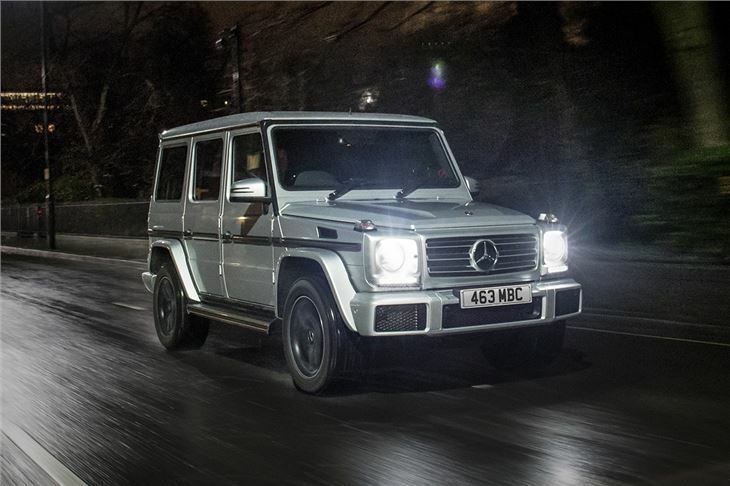 Although comparatively few owners will venture off-road the G-Class’s mix of older mechanicals and up to date electronic systems makes it a formidable machine. In these conditions the G350d is the ideal version, combining additional ground clearance with the easily accessible torque. Should the electronics be defeated by the conditions the three locking differentials allow the driver to use more traditional off-road techniques in order to make it through. The G-Class remains much as it ever was, and for this reason it will either hold strong appeal or can be instantly dismissed as a potential purchase. Any rational measure will deem it to be expensive, compromised and lacking in comfort and ease of use compared to more modern rivals. However its old-fashioned approach is what makes it so appealing - no other car on sale today offers the same level of luxury, iconic looks, vault-like build quality and peerless image all wrapped up in one package. 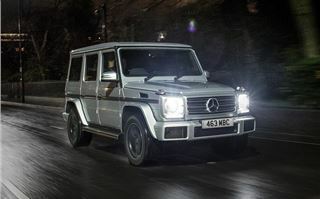 The Mercedes-Benz G-Class is on sale now.